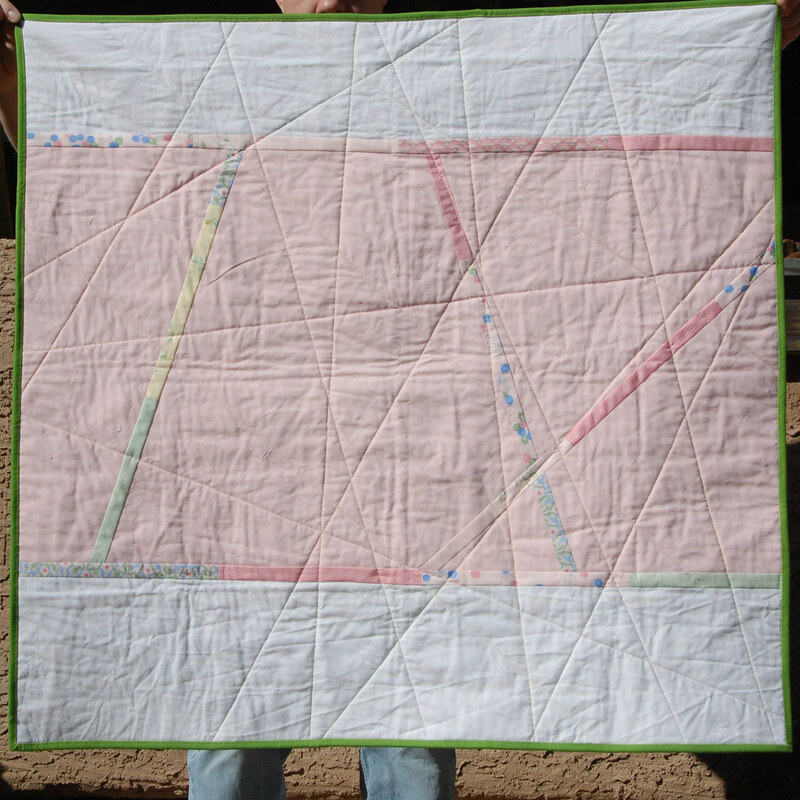 Pick Up Sticks - I finished this within the first week of 2011 and sent it off to be published with a pattern in Quilter's Home! I don't know if I can share it yet, so here's the back. 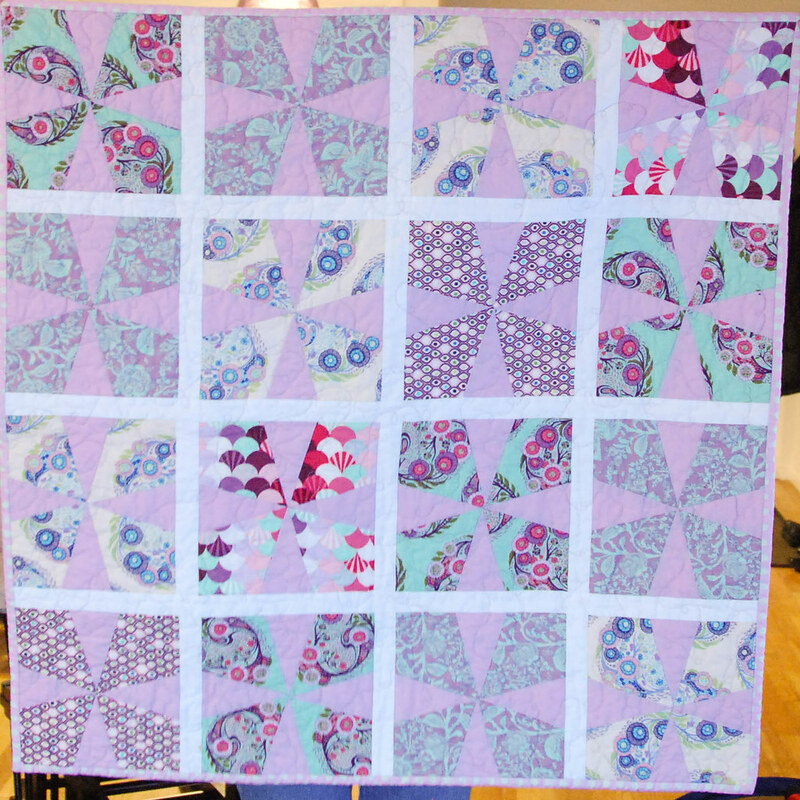 Summer Fun D9P - I made this quilt for a class I taught. 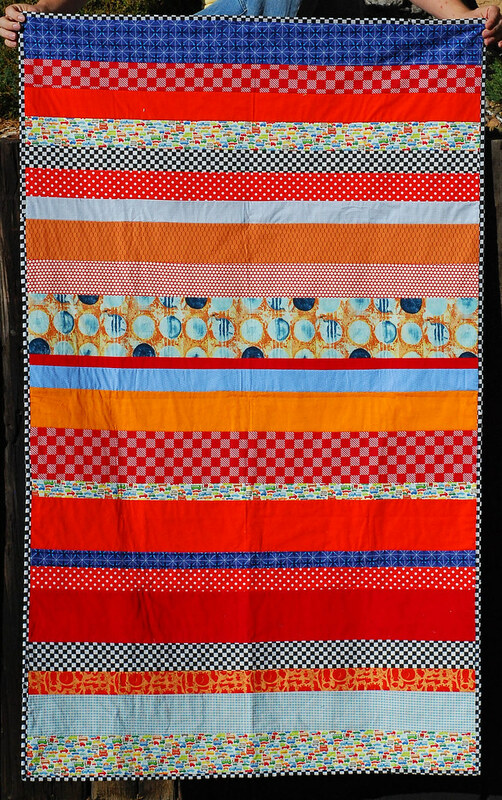 I am so glad that I went with the Nicey Jane for the sashing/border. 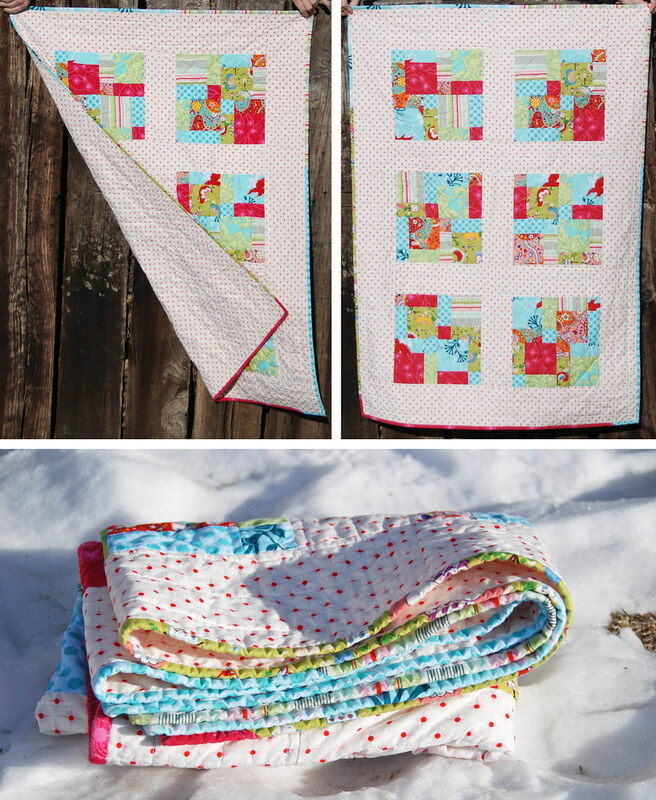 Hedgehog Quilt - The center of each of the blocks uses a Japanese hedgehog fabric. The back is a plaid flannel. This quilt is not as colorful as I usually make them, but I started it right after my 1st hog passed away. 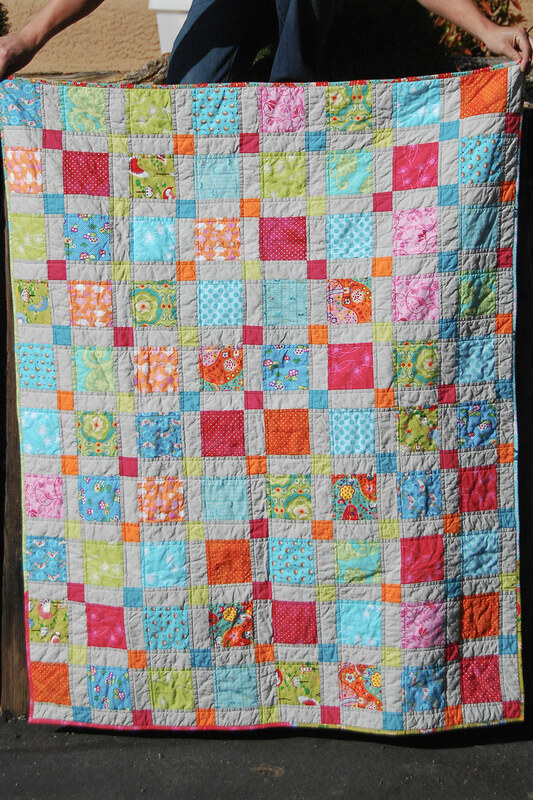 Lydia's Quilt - This was a quickie quilt that I made for my niece. I used Tula Pink's Parisville collection since my sister loves Tula Pink. D9P charm quilt - I was so obsessed with these colors last summer! I have lots more of these charms to use up! I wish I had used white sashing instead of Kona Ash. I sent this one off to Japan. 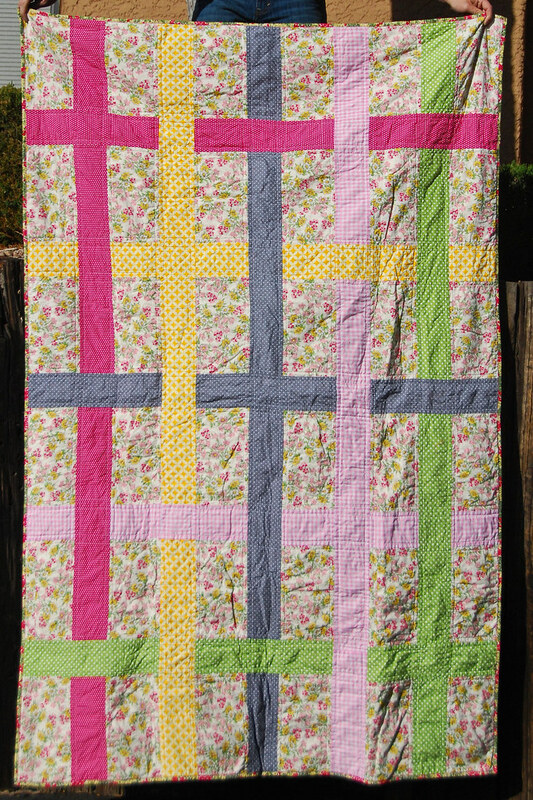 Flower Basket Picnic Quilt - I had fun designing and making this quilt, but it's a bit too floral and there are some mistakes. I might make another with a tutorial. It's big, so I keep it in the car for picnics. Or cold baseball games. I'm one short of my goal! Gah! And all it needs in the binding. Oh well. Not bad. 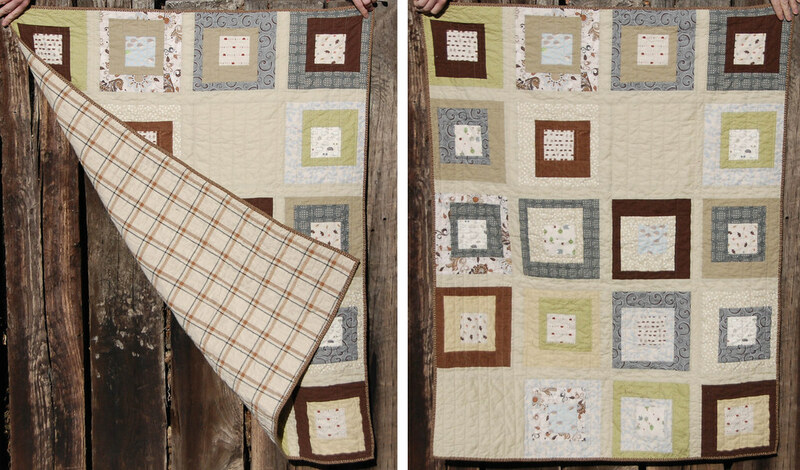 It feels good to get those older quilts finished! I would like to see the Hedgehog quilt a little closer! Looks cute but would like to see more of that fabric. I thought the back of the pick up sticks was awesome enough. Can't wait to see the FRONT!